Parks: austerity has seen ‘disastrous reductions in staffing and maintenance’. 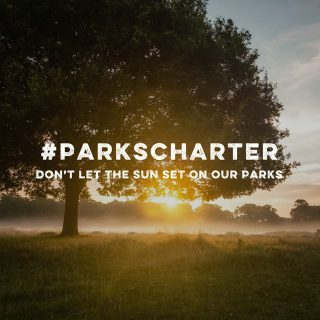 On 21 June, the first day of summer, a ‘Charter for Parks’ was launched and the UK’s political leaders asked to champion parks and local public green spaces across the UK to halt – and reverse – their decline. The ‘Charter for Parks’ is backed by a coalition of 12 national organisations: Greenspace Scotland, Keep Britain Tidy, Fields in Trust, Friends of the Earth, Llais y Goedwig (the voice of community woodlands in Wales), The National Federation of Parks and Green Spaces, The Parks Alliance, The Parks Agency, The Gardens Trust, Unison and 38 Degrees. It calls on Prime Minister Theresa May and First Ministers Nicola Sturgeon, Carwyn Jones and Arlene Foster to take action to safeguard spaces that are vital for so many communities and individuals. Encourage and enable community involvement and empowerment of local people and park users. Groups and organisations throughout the UK are being urged to sign up to the new Charter throughout the summer via the Charter for Parks website, and follow events on Twitter or the Parks Charter facebook page. Dave Morris, chair of the National Federation of Parks and Green Spaces (NFPGS), explained: “Time is running out for local parks across the UK. Continuous budget cuts to staffing and maintenance are leaving them vulnerable to neglect and deterioration, or even sell-offs. “Many people think local councils are legally responsible for maintaining local parks and open spaces but unfortunately, unlike waste collection, that’s not the case yet. 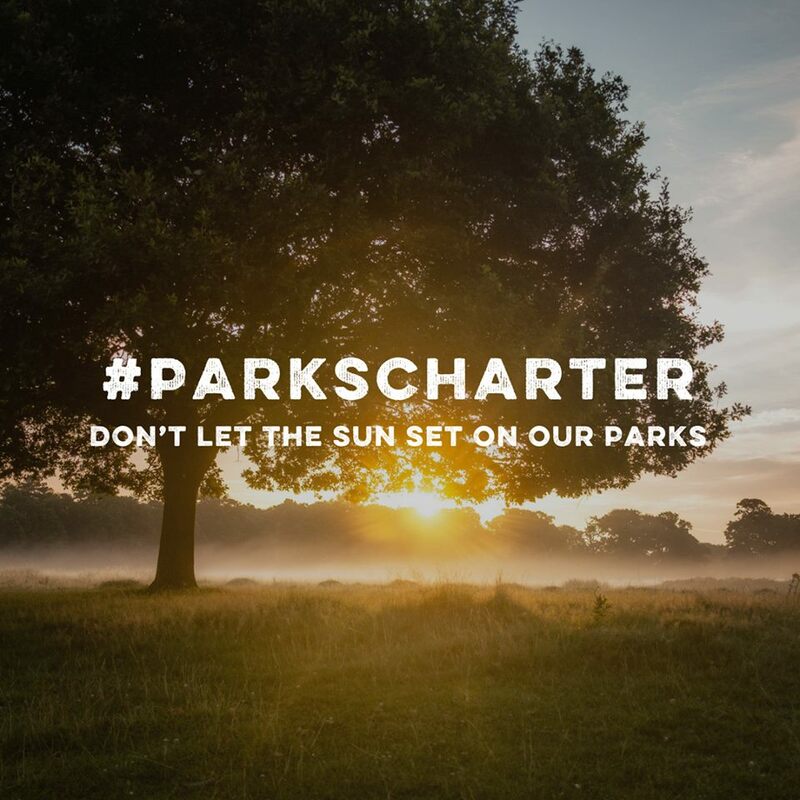 “Our Parks Charter calls on the leaders of all four home nations to take action to ensure these essential and highly-popular public resources are properly funded, managed, maintained, and protected for current and future generations. “As the voice of the movement of more than 6,000 local Friends of Parks Groups throughout the UK we recognise the immense contribution that these community volunteers are playing. Now it’s time for government to show an equal commitment to act. In England the charter was handed to a representative of the Ministry of Housing Communities and Local Government outside the Houses of Parliament by NFPGS Chair Dave Morris, David Lambert of The Gardens Trust, and a teacher and pupils of The Willow School in Tottenham. The Year 5 pupils are regular users of Lordship Rec, where Dave Morris is chair of his local Friends Group. And their teacher said: “We see the local park as fundamental to the school and the children. We use it as a resource for teaching, for community events, sports and family socialising all year round. In Scotland, representatives from Friends of Parks Groups in Edinburgh gathered in the green space beside the Scottish Parliament to launch the Charter for Parks. Julie Proctor, chief executive of Greenspace Scotland, said: “Scotland’s parks are one of our national treasures, but they face an increasingly uncertain future. “Like many public services, they have been feeling the pinch; and with no legal duty to maintain parks, too often they are seen as an easy budget cut. “Parks really are our natural health service, our children’s outdoor classrooms, our cities’ green lungs – essential to our quality of life, our sense of place and community. “Yet we are rapidly approaching a tipping point leading to the downward spiral of reduced maintenance, poorer quality greenspaces and lower levels of use. And Helen Griffiths, chief executive of Fields in Trust, said: “Our research demonstrates that parks and green spaces have proven physical and mental health benefits. These are valuable places; places where we can all move, breathe, run and play. David Lambert, Trustee at The Gardens Trust, said: “Our heritage of public parks is a national treasure but as a discretionary service, parks remain first in line for budget cuts, and eight years of austerity have seen disastrous reductions in staffing and maintenance.